This is a rare blouse, in a silky rayon fabric. If it weren’t for being a war-time garment, I might think it was a silk/rayon blend but, since the war effort used silk for other purposes, it was rare to find it in any clothing (or hosiery!). Rayon was King, and it’s a fabulous fabric. I just LOVE 1940’s and ’50’s blouses! This one I’ve had for a while. It is finished at the hem to be worn un-tucked. Rather big for me, so I wear it as a tunic style. About 2 sizes smaller, it would be beautiful under a suit, no? Great design over a skirt, however, and dynamite with slacks. The beautiful coffee-colored embroidery is what also “makes” it. Mocha-colored items are a bit unusual, and a nice year-round color. Neutrals are just about the most elegant, and versatile, of all hues. It’s the gorgeous details and workmanship on this shirt that really cause it to stand out. Back in the day, this kind of craftsmanship was “de rigour” and now we really have to search to find it – and usually only in true vintage garments like this one . . . . . . . . .
Posted on March 4, 2017 by Morgana Martin, the magicvintagespy. 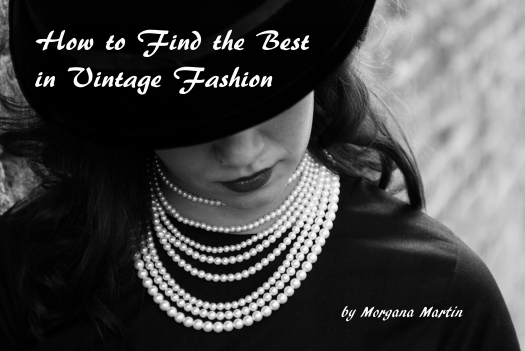 This entry was posted in blogger, blouse, buy, buying, classic, classic clothing, clothing, decorated, dressy, elegance, elegant, embroidery, fashion, find, guidebook, hand-tailored, how to, ladies, magicvintagespy, mid-century, novelty, photos, rayon, references, retro, shirt, shopping, stores, true vintage, Uncategorized, vintage, vintage blogger, vintage clothing, vintage expert, war-time, WARTIME, women's, WWII and tagged '40's, 1940's, 1940s, 40's, blogger, blouse, buy, buying, classic, classic clothing, clothing, decorated, dressy, elegance, elegant, embroidery, fashion, find, forties, Forties, guidebook, hand-tailored, how to, ladies, ladies', magicvintagespy, Magicvintagespy.com, mid-century, novelty, photos, rayon, references, retro, shirt, shopping, shopping tips, shopping-tips, silk, spring, stores, true vintage, Uncategorized, vintage, vintage blogger, vintage clothing, vintage expert, war-time, WARTIME, women's, WWII. Bookmark the permalink. A WWII – ERA RAYON LADIES’ BLOUSE. FABULOUS TRUE VINTAGE TAILORING, FABULOUS FABRIC AND ELEGANT STYLE.